Rabbi at S.F. 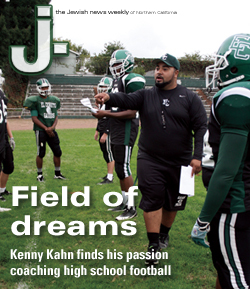 Jewish high school does double duty as coach – J. “Hey coach, give me a brachah” is hardly something one would expect to hear at a high school boys basketball game. But a player in a shooting slump asking his coach for a blessing might make sense if the coach is also a rabbi — a situation that exists for the first time in the 10-year history of the Jewish Community High School of the Bay in San Francisco. “So this kid, normally a great shooter, was having a tough first half. His shots weren’t bad, but they were hitting off the rim, getting bad bounces. Nothing was falling in,” said 33-year-old Rabbi Mark Goodman, the coach in question. “At the end of the first half, he comes over and says, ‘Coach Goodie, give me a brachah.’ Now, I usually don’t want to equate prayers with playing good basketball. I mean, God has bigger problems in the universe than whether this guy can hit a jump shot. With a refreshed demeanor and his confidence renewed, the player who had missed seven of eight shots in the first half proceeded to hit five of seven attempts in the second half — which helped the JCHS Wolves win the game. No, it wasn’t God willing the ball through the hoop. “A lot of sports is about mental and calm and focus — and he just needed something to believe in,” Goodman said. So it goes for Goodman, who is in his first season of coaching boys basketball at JCHS, a 179-student high school located a few blocks from Japantown in San Francisco. He is the head coach of an up-and-down seven-member junior varsity team, an assistant coach for a highly competitive varsity squad, and gladly answers to Rabbi Goodie, Coach Goodie or even Coach Rabbi. “There’s a certain level of informality that I’m perfectly OK with,” he said. 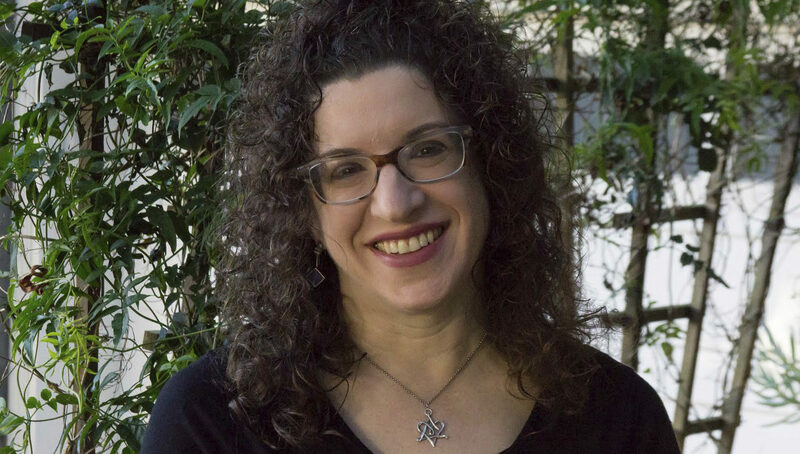 Goodman, a Los Angeles native, came to JCHS five years ago, right after graduating with a master’s degree in rabbinic studies from the American Jewish University (formerly the University of Judaism) in Los Angeles. 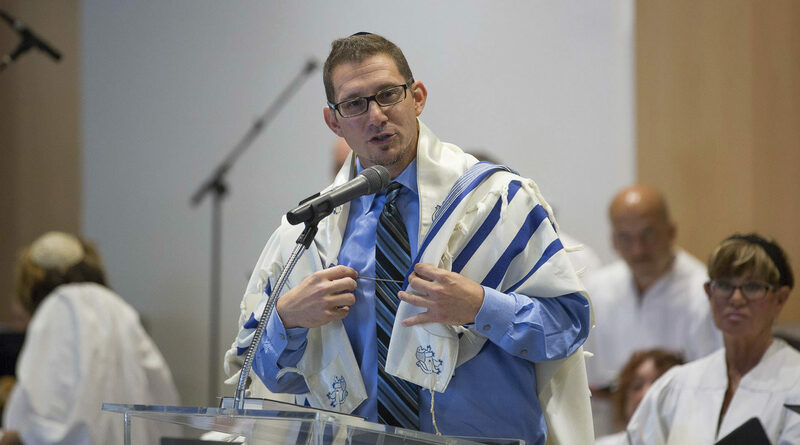 On his road to ordination there, he served as a student pulpit rabbi at a small synagogue in Huntington Beach, but ultimately decided that the education field would be a better fit. 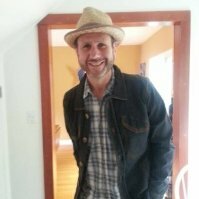 Goodman, who teaches Jewish studies, didn’t show up at JCHS in 2006 with designs on becoming a coach, but he did know that he wanted to be athletically involved because of a phenomenon he witnessed when he ran cross-country at Harvard-Westlake School in North Hollywood, which had roots as an Episcopal school. 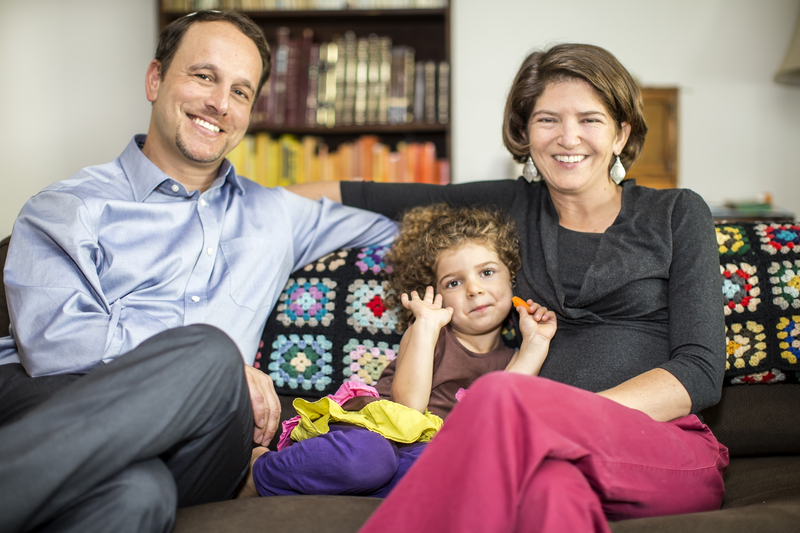 Sure enough, Goodman has become a popular teacher — as the familiarity of students calling him “Rabbi Goodie” might indicate — but it also led to more than that. The coaches kept seeing him, so they asked him to be a scorekeeper, and then the scoreboard operator, and eventually the head coach of the JV squad. Goodman had never coached any kind of team before, and in high school he ran cross-country and wrestled, but didn’t play basketball. He did play on the men’s team at American Jewish University, but that was “basically a glorified rec team,” he said, with only one real game every year, a contest that Goodman organized against Hebrew Union College. As an undergrad at George Washington University in Washington, D.C., however, he got some invaluable experience as the manager of the men’s basketball team. In addition to handling all of the equipment (a bigger job than it might sound), he helped run drills in practice for a Division I team that went to the NCAA Tournament in one of his years there. He also became known for wearing green Converse All-Stars, which became the team’s good-luck charm. The learning hasn’t stopped at JCHS, where Goodman gives a lot of credit to Kjar, the varsity head coach, and JV assistant Stu Jacobs, who is in his fourth year of coaching basketball at JCHS. “[Jacobs] knows more about basketball than I do,” noted Goodman, who also watches tons of basketball on television, be it NBA or college or even high school. “If it’s on, I’m watching it,” he said. While the JV squad hasn’t written its own “Hoosiers” script just yet, Goodman said his seven players have “learned a lot” and “are in really good spirits,” believing they can finish their eight-game season at .500 or better. The Wolves came into the week with a 1-3 record, but feel one of those losses was a win they let slip through their fingers. The season concludes Feb. 9. The varsity team, for which Goodman is an assistant coach, is having a great season, with a 12-3 overall record after a 46-24 win over rival Kehillah on Jan. 23 extended the Wolves’ winning streak to six straight games. Moreover, they entered this week 6-1 in the 14-team Private Schools Athletic League with six games remaining — putting them in solid position to make the playoffs. 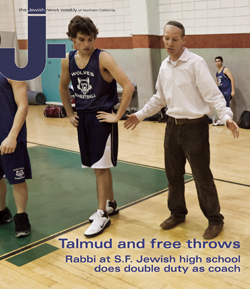 Goodman teaches the Talmud in his Jewish law class, and said he sometimes marvels at the differences between teaching Talmud and coaching basketball. “Talmud is nitpicking and details. ‘Talmudic hairsplitting’ is an actual phrase, and there’s no amount of over-analysis you can subject the Talmud to,” Goodman said. “The saying is the motto for our team,” Hessler noted.